Foto: Aan Kasman. Dieses Foto ist unter der Creative Commons-Lizenz Namensnennung 2.0 US-amerikanisch (nicht portiert) (CC BY 2.0) lizensiert. 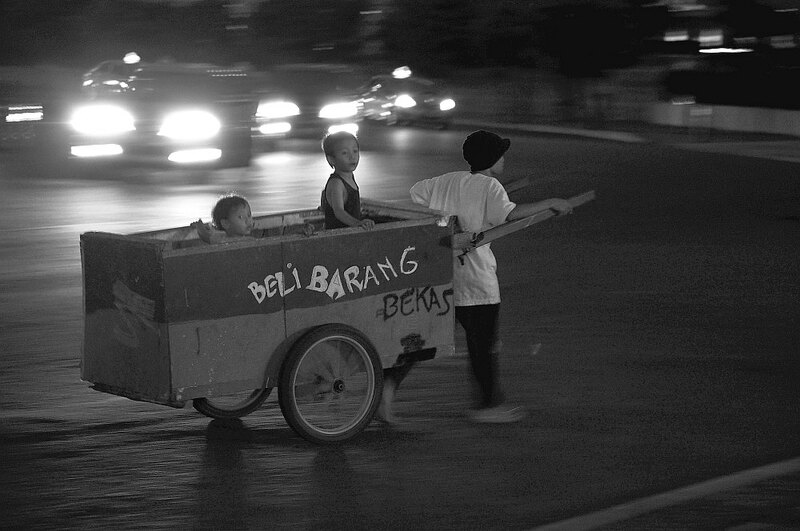 Jakarta, Menteng, Push-carts, 2010. 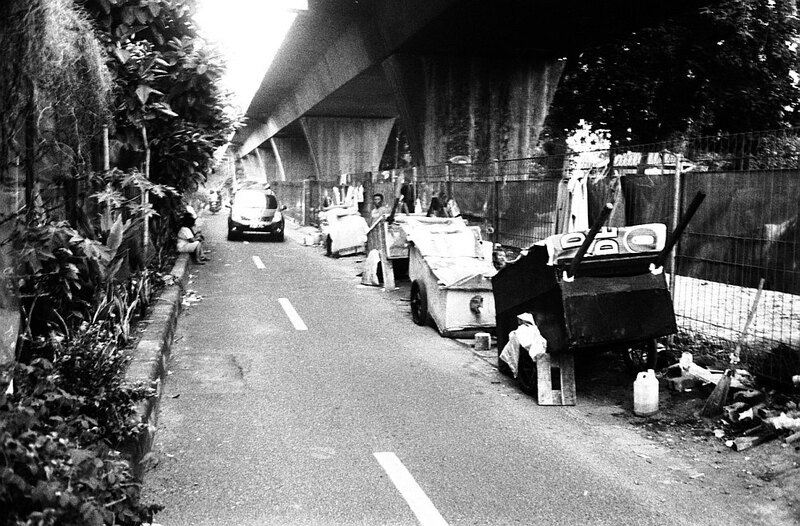 Home to Jakarta's homeless. Push carts are mobile homes. they are people who works in the informal sector scavenging for plastic, paper, and metal. 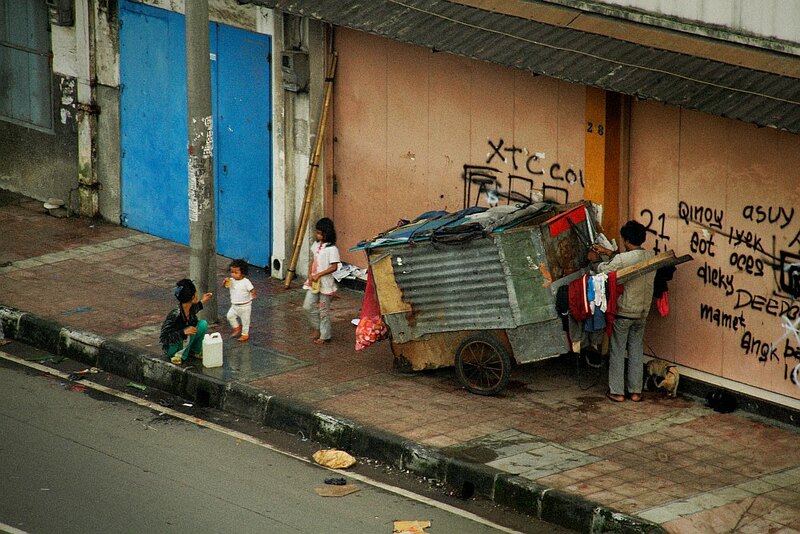 Bandung, Obdachlose Familie  ihre Wohnung ist der Handkarren, 2011 / Bandung, Homeless family  their home is the push-cart, 2011. Foto: feureau. Dieses Foto ist unter der Creative Commons-Lizenz Namensnennung-NichtKommerziell-KeineBearbeitung 2.0 US-amerikanisch (nicht portiert) (CC BY-NC-ND 2.0) lizensiert. 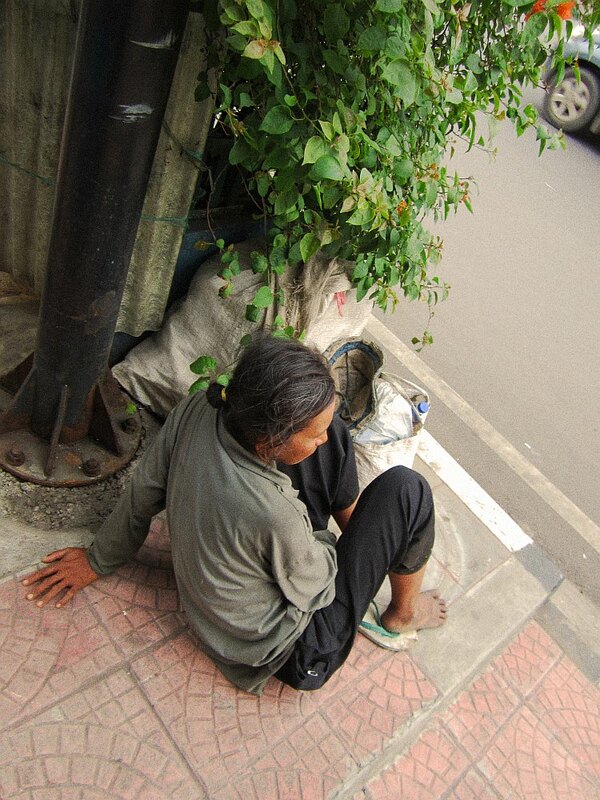 Ostjava, Obdachlose Frau, 2009. Sie trägt ihr Heim mit sich auf der staubigen Straße. Wir wissen nicht, wo und wie sie lebt. Diese Leute nennt man gepeng. 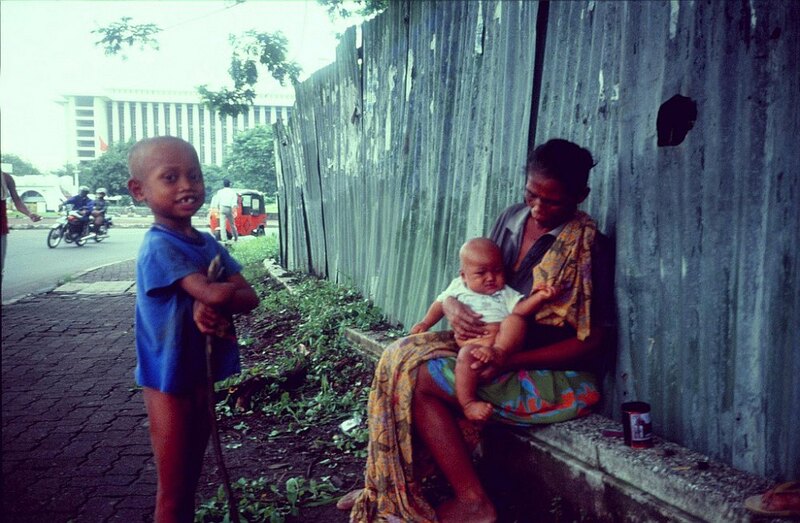 Eastern Java, 2009. A homeless woman, carrying her home along the dusty road. 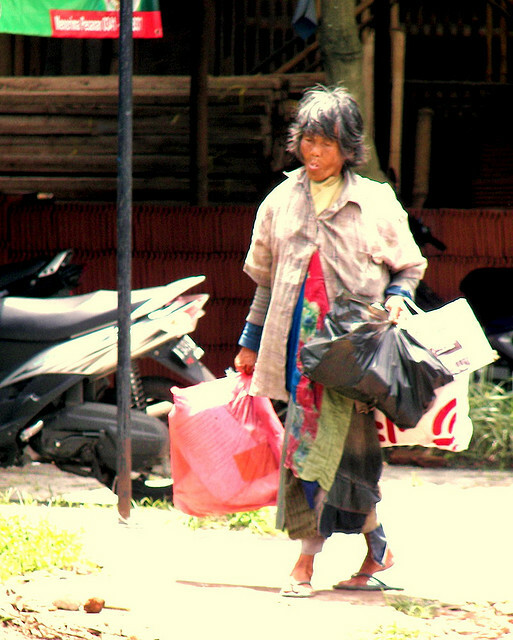 This woman, among many homeless people in Java, carrying her home along the dusty road. We don't know where the woman lives and how she lives. 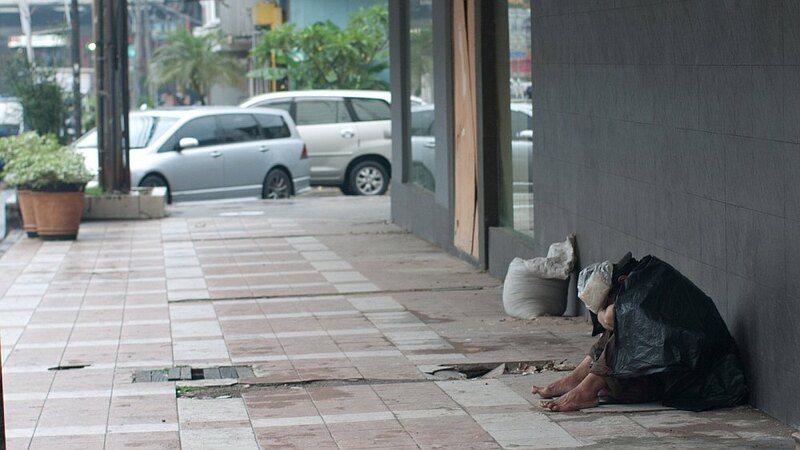 These people are known as 'gepeng'. This woman may carry things like whatever she needs for living. Foto: bopswave. Dieses Foto ist unter der Creative Commons-Lizenz Namensnennung-Weitergabe unter gleichen Bedingungen 2.0 US-amerikanisch (nicht portiert) (CC BY-SA 2.0) lizensiert.